What does the sales rep of the future look like? The next-generation of sales reps won’t be chromed out. They won’t have laser eyes or super-computer brains. The next-generation sales rep won’t be a robot or have artificial intelligence. 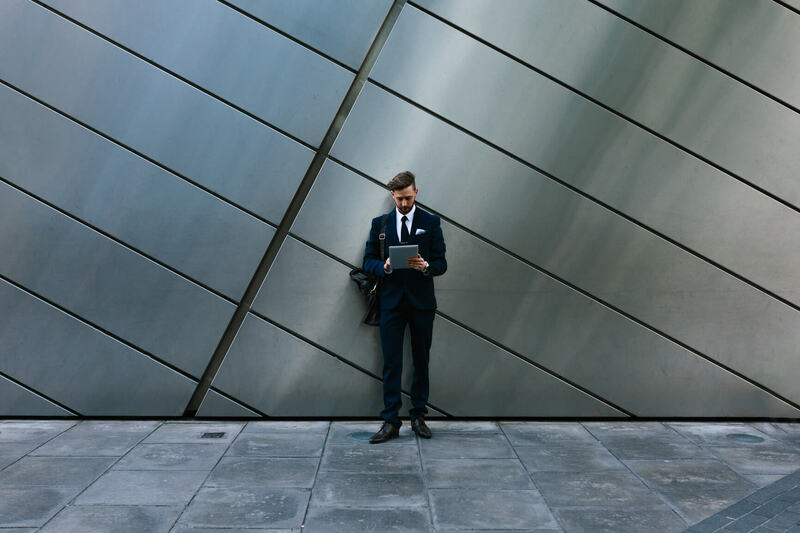 So what’s the actual anatomy of the next-gen sales rep? It’ll be a human who understands how to wield data and prioritizes the customer above all else. Why all the future-talk? That’s because sales is changing fast. The “sales cycle” and “buyer’s journey” has shifted dramatically (even though it was never as clean a funnel–or as neat a circle–as anyone would have liked). Markets are flooded with content. Consumers, inundated with choices and information, prioritize self-education and free demos over engaging with sales reps, short-cutting the traditional buyer’s journey. In response, we’ve turned to practices like social selling, lean selling, account-based selling, and “cold calling 2.0” in an attempt to find a new way to sell that actually works. In the process, we’re all waking up from a nightmare of brute force sales techniques, intrusive advertising and best practices designed with only the company in mind. These days, it’s not about the company. It’s about the customer. And sales reps of the future need to adapt. #1 – Use data to understand what customers want (and how to give it to them). Data by itself is nothing special. There’s way too much of it in the world already, and just staring at numbers scrolling by tells us nothing. But like Neo learned to see humans in the scrolling data of The Matrix, we can also learn to use data to “see” a more complete picture of what customers and prospects want. Take Stitch Fix, for instance. The online personal shopping service uses a combination of data science and human intuition to ship a box (or “fix”) of clothes and accessories to women who sign up for the service. Stitch Fix has grown exponentially since its founding, partially due to how often they get it right. Stitch Fix’s large team of data scientists created proprietary technology to crunch user data on clothing preferences based on a user’s style profile. The team continually builds new ways to understand their customer, disrupting the retail industry and changing the way its customers buy clothes. By giving their human stylists access to the insights of its sophisticated algorithms, Stitch Fix is able to provide a genuinely helpful service that its customers want. Because its customers trust Stitch Fix, they take their stylist’s recommendations about what to buy. The more the stylist, algorithm and customer work together, the better the stylist and algorithm get at predicting what the customer will love. As our ability to understand data gets better and better, sales reps should be using it as a way to nail exactly what prospects want. #2 – Become a technical expert to be more helpful. I recently set up a few meetings with sales reps to demo project management software as part of selecting a new product for an agency client. I spent weeks vetting a huge list of project management software products, narrowing it down based on price, must-have features, integrations and more. I signed up for free trials and created dozens of mock projects to simulate how our team worked in real life. By the time I’d whittled the 25 choices down to the top two, I had read extensively about both choices, done my own side-by-side analysis, and worked through several small projects inside each one. Despite this, when I got on the phone with a sales rep, he had no idea I’d done any of this. “I already know a lot about PM Software A, I just have some technical and pricing questions,” I said. Instead of listening to my questions, he insisted on talking at me about generic features I’d already tried out weeks ago. To make matters worse, he didn’t know any answers to of my technical questions and had no authority to discuss pricing with me. In short, the meeting with the sales rep was a complete waste of time. A lot of savvy customers spend time educating themselves or trying out products before encountering a sales rep. For reps to get to the next level and stay relevant to the customer, they need to prioritize technical expertise. I’m not saying every sales rep needs to be at the level of an engineer, but being completely clueless about anything beyond the sales deck is no longer an option. Modern sales professionals should understand their products and customers on a deeper level. Don’t show me what I already know — show me the thing I didn’t know I wanted. #3 – Use data to only do what works. In sales, you hear a lot about how much the magic of data analysis will help sales professionals develop new markets, qualify prospects, understand predictive buying cues and customize the sales experience. But what about turning that wand around and using it on ourselves? You can use data to know that the prospect you’re about to talk to subscribes to the company podcast and attended two informational webinars. You can use data to know the valuation, latest raise, and every single investor involved with your next call’s company. The availability of data frees us to do things that work, rather than what’s always been done. #4 – Cultivate cross-functional connections. In traditional, idealized funnels and cycles, the roles were clear. Marketing positioned the company to be competitive in the right markets, and identified and attracted qualified audiences. Sales continued developing relationships with those prospects and led them toward making a purchase. Today, prospects could be anywhere in the traditional “buyer’s journey” when they make their first contact with your company. They have dozens and dozens of channels that might’ve been their first touchpoint. The clean handoff between marketing and sales is pretty blurry. Today, sales development reps find new markets. Growth marketers build sales strategies. Everyone’s role is changing and that includes inside the sales org. Forming relationships across different departments and listening to customer insights from other perspectives will give sales reps an edge. Consider all the ways a prospect could interact with your company. A customer success person could be in a position to make a sale or move a prospect further along. A content marketer could interact with a potential prospect on Twitter after publishing a company blog post. Being able to turn to your marketing, data science, customer success or product teams for insights into your buyer will help you build that more complete picture. Technology and data have made our world more crowded. As consumers, we rely on trusted sources, aggregated reviews, the advice of our friends and our ability to “try before we buy” to filter through all the information out there before making buying decisions. As technology and data complicate things, technically proficient, customer-focused sales reps can also help cut through all the noise. Sales reps of the future who are equipped with the right combination of data and human insight will be able to problem-solve for the customer — and we can always use another person in our corner. Claire Autruong is a content marketer based in the Pacific Northwest via Colorado. She writes and thinks a lot about stories, marketing, data, sales, growth, tech and productivity. Say hi on Twitter.